The UMF 1473R 24Qt. (22.7L) Waste Receptacle is made of heavy-duty steel and includes a baked epoxy paint finish for added durability. 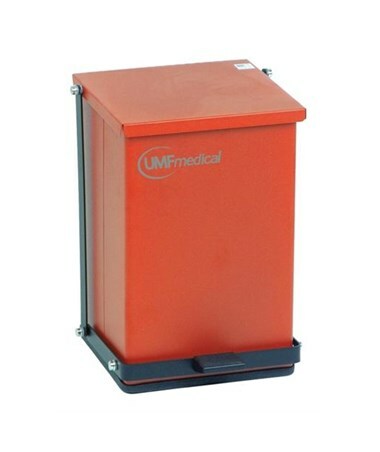 The foot operated lid is easily used through a heavy-duty foot pedal. It also includes a bag securing mechanism for quick and easy clean up, as well as free biohazard and infectious waste adhesive labels for OSHA labeling requirements. 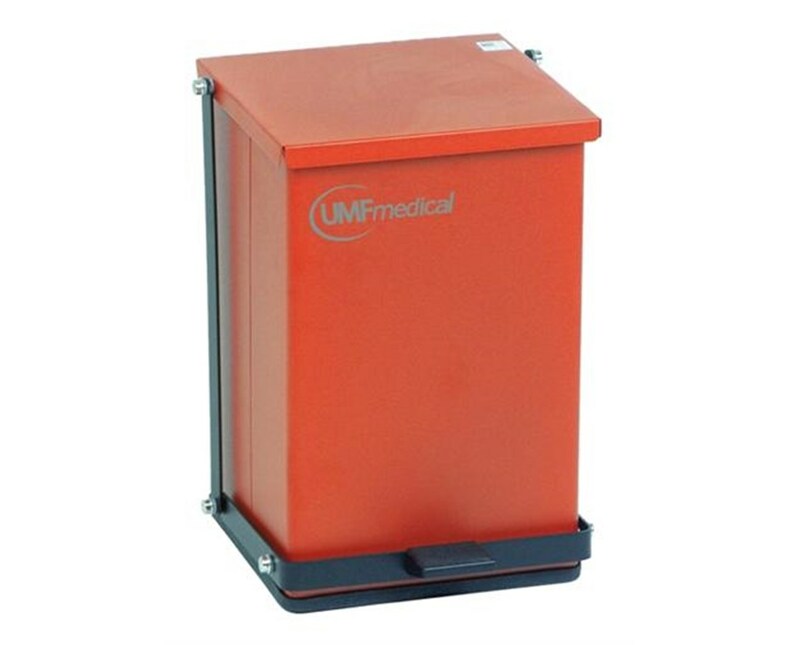 The UMF 1473R Waste Receptacle comes with a 1 year limited warranty.